In case you didn’t know, on the 1st April 2017, VED road tax rules are changing. So, we’ve put together a simple guide about the changes and how it may affect you. The new changes to the car tax system was put in place by for Chancellor of the Exchequer George Osborne, stating a higher road tax price for all new cars for the first year and a lower fixed annual rate for all vehicles applying for a road tax renewal thereafter. After the first year road tax rates will not be based on the vehicles CO2 emissions anymore. The new road tax rules state that zero-emission vehicles will be exempt and vehicles costing more than £40,000 will pay a £310 supplement for the first five years, on top of the fixed annual rate. Why are the VED road tax rules changing? Currently, the road tax regime is costing the Exchequer quite a bit of money. More and more car-makers are producing low emission vehicles, therefore there are more and more drivers paying a small amount of road tax. In fact, the majority of the drivers of these low emission vehicles fall into Band A on the VED road tax, meaning they pay no tax. This is something that has been deemed as unsustainable and is why the new VED road tax rules have been brought in. 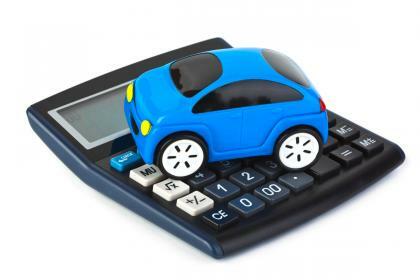 If you’ve been thinking about buying a new car in the foreseeable future, you may be better off buying now before the new road tax kicks in! This is especially true if you’re looking for a smaller and more environmentally friendly vehicle. At present, vehicles with less CO2 emissions pay less road tax, when the new rules kick in this won’t be the case. Any vehicles registered after the 1st April 2017 will pay a one-off tax charge for the first year, these rates will be decided by a revised version of the current CO2-based tax band system. After this, CO2 rates won’t apply and there will be a fixed annual rate of £140. In conclusion, if you’re looking to buy an environmentally friendly vehicle it’s cheaper to buy now. The same can be said if you’re looking to buy a vehicle in the over £40,000 bracket. However, if you’re looking to buy a reasonably priced vehicle that emits more than 226g/km and you intend to keep it for years then you’re probably best to wait until April 2017. Do the same rules apply for used cars? At present it looks as though the new road tax rules will be affecting used vehicles with post April 2017 registrations. I’m not looking to change my car. Will the new changes affect me? No. Vehicles already registered won’t be affected by the changes. The existing VED bands will remain in place even after the new VED bands are in action. Check the vehicle tax rate tables below for more information. The amount you pay each year after that depends on the type of fuel.